Having a driving licence can change your life, taking you in new directions and opening doors for you and your future. New Employment possibilities, New People to meet and New Places are all on your doorstep when you hold a driving licence! 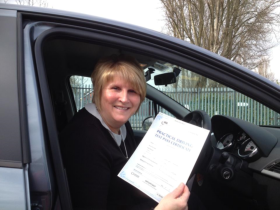 Sue Richards passed her Driving Test at Bolton Test Centre on her first attempt and with only 4 minors! Outstanding work Sue! Well done to Sue and happy driving. Why not consider our Pass Plus and motorway courses for even greater confidence and lower insurance? We've got it covered! It's not hard to see why we are one of the best driving schools in the Northwest. We've helped get more people on the road than ever recently and had some truly astonishing results in the test centre recently. Take Matt here for example. 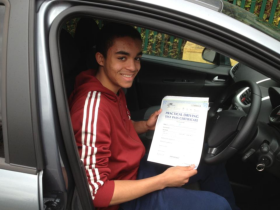 He's passed first time with no minors whatsoever! Well driven Matt, keep it up. WHY NOT TRY OUR TEN WEEK PASS COURSE?